WHAT! I have been nominated for another award!! this is crazy, but I am so happy and thankful so thank you so much! 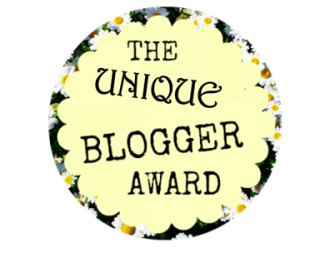 Quina from A Pretty Story nominated me for the Unique Blogger Award, thank you so much! if you enjoy reading and love makeup then you should deffo check out her blog! 1) The sun or the moon? Why? I actually really struggled with this question, but I’m going to say the moon. I think the moon is beautiful. I love looking at it at night and I find it so calming and relaxing. I also love the moon when the sun is just going down and the moon starts to appear as it isn’t at its peak time yet. I like the idea of knowing that I am going to sleep soon aswell, which means candles and fairy lights time!!!! 2) Where is your favorite place in the world? I really love being in my own house as its like my special place where I can relax and just be happy. But, my all time favourite place in the world would have to be Warner Brothers Harry Potter London Tour as it is FRICKING AMAZING!!! it is honestly one of the best places I have ever visited! there is something about the Harry Potter tour that makes you feel so happy as you know that everything you see has been in all of the Harry Potter films. IT IS SO MAGICAL and because I am a massive Harry Potter fan I like to feel as close to the films and books as possible (as weird as that sounds) and that is done through me going here. 3) What are your summer essentials (whatever that means to you)? Bikini’s, sunglasses, dresses and books. 1) What is your favourite film? 2) If you had three wishes, what would they be? LASTLY, 3) If you were a flavour ice-cream, what flavour would you be? Its alright no worries 🙂 yeah I have my mum told me about it when I was younger lol. If our mums say it’s right it must be lol. It is perfect time to make some plans for the future and it’s time to be happy. I have read this post and if I could I want to suggest you some inteersting things or tips. Perhaps you could write next articles referring to this article. I wish to read more things about it! yes I did! It is alright no worries, cool!! going to read your replies!